EXCLUSIVE AT NET-A-PORTER. Tailoring is one of Commission's strong suits - in fact, the innovative cuts are why we have included them in The Vanguard, a platform to showcase fashion's rising stars. 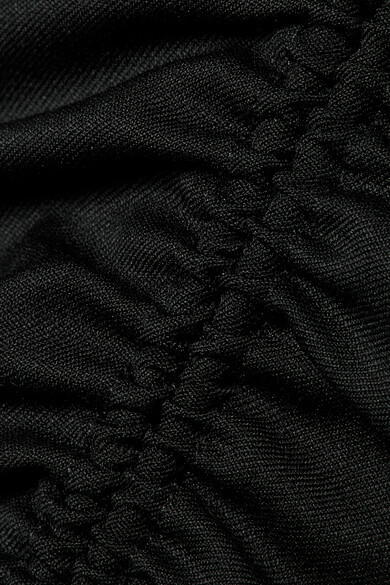 This skirt is cut from black twill enhanced with wool for softness and has adjustable drawstring ties so you can alter the ruching and length. Play with proportions by wearing an oversized blazer on top. Shown here with: BY FAR Shoulder bag, Balenciaga Pumps, Kenneth Jay Lane Earrings.